This educational visit is an activity planned for Electrical & Electronic Engineering undergraduate students to visit electronics or semiconductor industries in Penang, Malaysia. 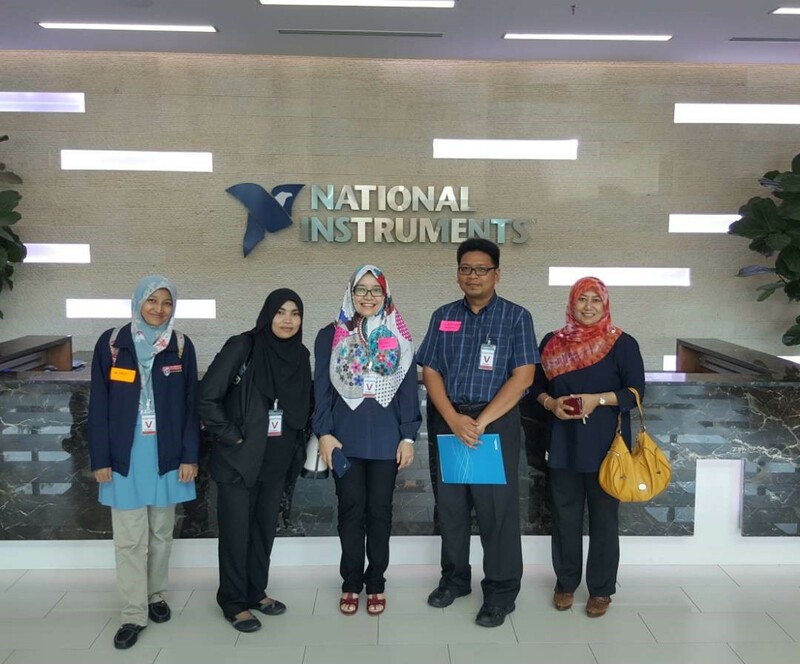 The educational visit was held to visit National Instruments (NI) Penang, Malaysia on 6th October 2017. This one-day educational visit was co-organized by the Department of Electrical and Electronic Engineering, Universiti Putra Malaysia (UPM), Selangor, Malaysia. About 40 undergraduate students from UPM accompanied with four lecturers participated in the visit. This visit exposed students to the development of electronics industries in the country and career opportunities in the field. This visit also gave students the whole picture and proved what they have learned in class to the real world. Thus, it is considered as one of the lifelong learning process for the students. The visit also aims to give a better overview and learning expectations, to expose the development of electronics industries especially in Malaysia and to expose the career opportunity in electronics industries to the students. Students were travelled by bus which departed from UPM’s hostel at 12.00 am and arrived in Penang in five to six hours later. The program started at 9.15 am with the welcome note and introduction to NI from the R&D senior manager, Puan Noor Azian Abd Wahab. She introduced National Instruments, mission, organization and shared all activities in NI Penang. Next, sharing session on NI products and developments by the product engineer. Then, sharing session on overview of NI manufacturing by the manufacturing engineer. During both sharing sessions and introduction, students were asking few questions especially about the internship and job opportunities. After the tea break, all students were arranged for a plant tour to NI manufacturing field and testing laboratory. During the tea break and plan tour, students and also staffs had their networking session with NI’s staff.